The venues by Ferns N Petals are known for offering vast spaces for celebrations. Our Farmhouses for marriage in Delhi are equipped with the best services to meet your requirements in the best possible manner. We understand your needs and help you to make your dream wedding come true at our lavish banquet halls in South Delhi. 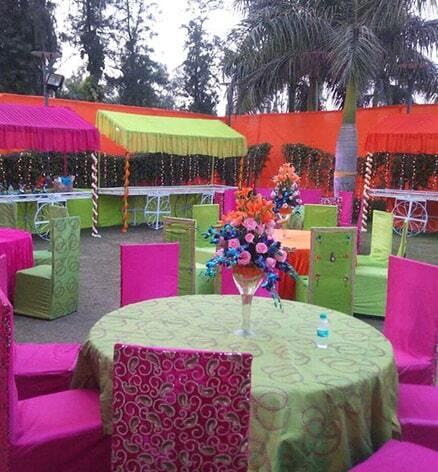 Shagun Farms is one of the popular luxurious wedding venues in South Delhi that is known for its opulent events. The venue is located in Chattarpur, and it serves as the perfect venue for large gatherings ranging from theme parties, engagement, cocktail, weddings and reception, to even corporate events. Weddings in India are not just about organizing events. It is a time of grand celebrations and creating memories for life. It’s an occasion where two worlds come together and start a new journey. Pavilion by Ferns N Petals is the newest member of the Gardens’ family. It is located in Chhatarpur and it boasts of an open lawn, a banquet and a glass hanger that makes it one of the perfect marriage venues in South Delhi. Udman Boutique resort, nestled at NH-8, offers a unique combination of warm ambiance, exotic location and top notch service. It is designed to host residential weddings because of its 6 party spaces under one roof. 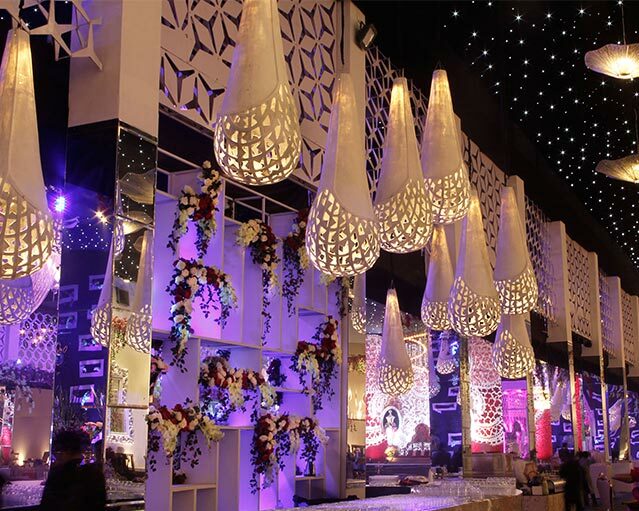 Chand Bagh is a total treat to the eyes with its breathtaking décor done to make weddings a grand affair. It is a closed banquet with stunning installations that makes it one of a kind venue that can suit all kinds of gatherings. The whole venue is designed on the lines of a fairy tale setting with luxurious chandeliers, ceiling installations and a whimsical stage. Vilasa is a fine luxury banquet, which is accentuated with oriental and contemporary interiors with superior wooden finish. This venue has a capacity to accommodate 1200 guests in attendance. The Kundan Farms is a beautiful wedding venue known for its state-of-the-art decor screaming sheer luxury and grandeur. This is an ideal place for all types of festivities, be it birthday or a wedding or reception. FNP Gardens believe in making your special moments, the most memorable time of your life. Venues by Ferns N Petals are known for offering vast spaces to celebrate social as well as corporate functions. Be it a wedding, engagement, birthday, anniversary or even a corporate ceremony such as product launch, award function or a party. With all kinds of facilities, we aim at help you to celebrate your special day in the best possible manner. Out of nine, there are seven wedding venues in south Delhi that offer both banquet as well as open setting for celebrations. These include three venues in Chattarpur namely- Chhatarpur Central, Pavilion as well as Shagun Farm and four venues at NH-8 that includes The Kundan, Vilasa, Udman Hotels & Resorts and the newest member of the FNP Family, Chand Bagh. Some of these are listed as the best banquet halls in South Delhi, because of their extravagant as well as surreal décor setup that looks no less than a fairy tale setting. They have permanent setups designed by international designers to match the latest trends in the décor segment. All the properties are also counted amongst the popular marriage venues in South Delhi as they offer perfect services as well the setting for weddings. Amongst all, Udman Hotels & Resorts is the only property that also serves as perfect place for hosting a destination or a residential weddings. It has 45 rooms, where one can accommodate guests as well. The best thing about this venue is that it has multiple venues under one roof that includes a big banquet, a small banquet, pool side lawn with glass house, terrace garden and a small conference room. All this makes it one of a kind as well as one of the best party venues in South Delhi. The newest member of the Gardens, Chand Bagh is also a work of art by Ferns N Petals. Its décor is one of its kind with stunning installations and elements that makes it look like a whimsical setup for weddings as well as other celebrations. Plus, it has vast parking space as well that makes it one of the best party places in South Delhi. Our properties also serves as birthday party venues in South Delhi as the setting provided by us can also be customized as the per the theme of a birthday event. The décor is then done to match the client’s requirements as well as their taste. All the venues by FNP are designed in a manner that they can be customized as per the requirement of the event and the whole team does puts in the best to make your event a success.